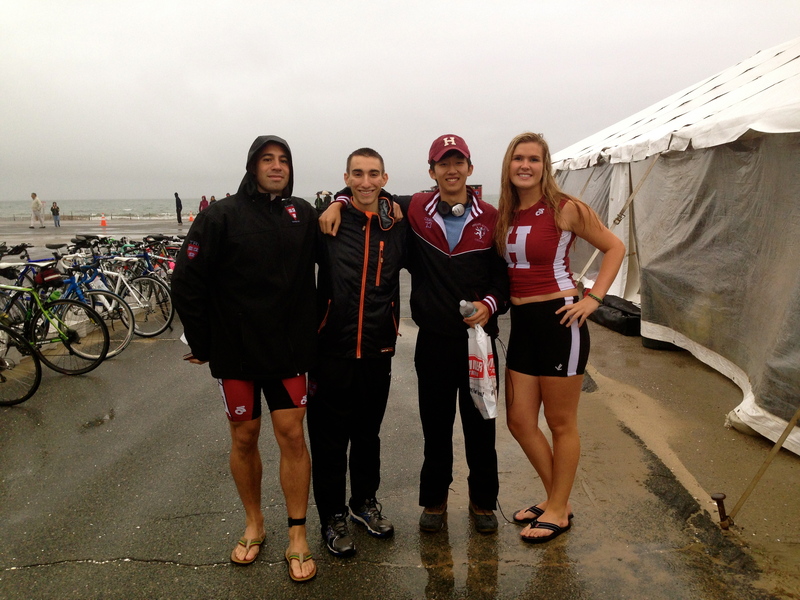 I woke up yesterday morning thinking that I was going to do a triathlon in Buzzards Bay with the Harvard Team. Little did I know I wouldn’t even be setting foot into the ocean! It rained. A LOT. And kept raining. And storming. 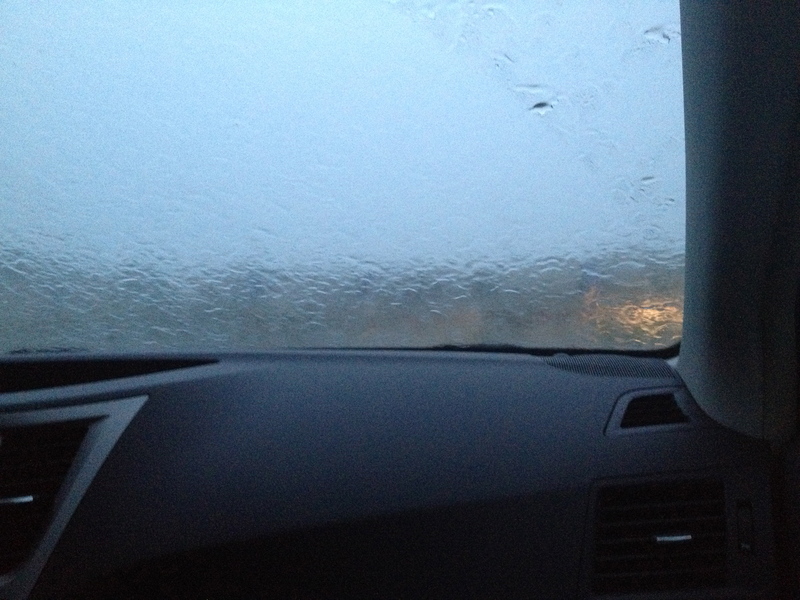 The ride from Harvard to Buzzards Bay was filled with a crazy amount of rain. After delaying the start from 9 AM to 10 AM, the racers eventually received a call saying that the swim was canceled — and that the race was to now have a run start (the 1/3 mile swim was switched to a 1.8 mile run). Crazy amounts of rain on the way to Buzzards Bay! The rain didn’t damper our spirits. 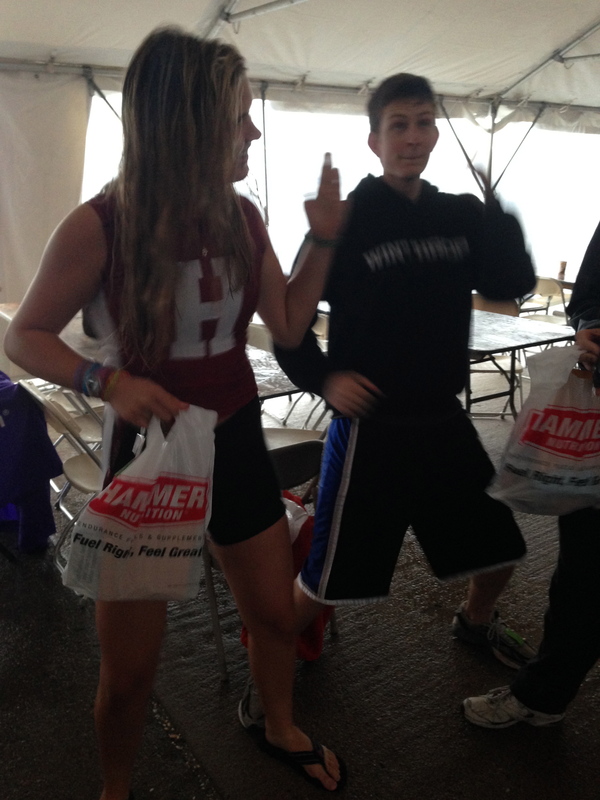 I had waaaay too much energy and was dancing in line with Jake! I understood the race directors’ concerns for riptides and dangerous ocean currents in the wake of such terrible weather, but it was also super disappointing. I mean, technically we weren’t doing a triathlon (in the traditional sense of the word) anymore :(. But, instead of letting the switch get us down, my team and I decided to make the best of it! 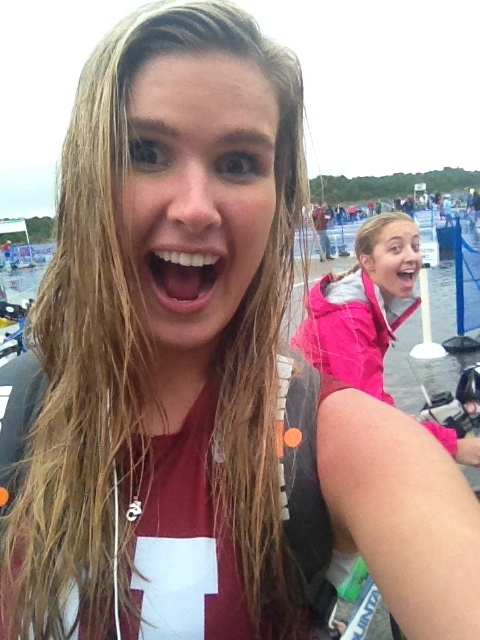 I had an absurd amount of energy that morning (still don’t really know why, haha) and decided to embrace the rain and dance in line, hang out with friends in the damp conditions, and look forward to the race. Rain didn’t get us down! 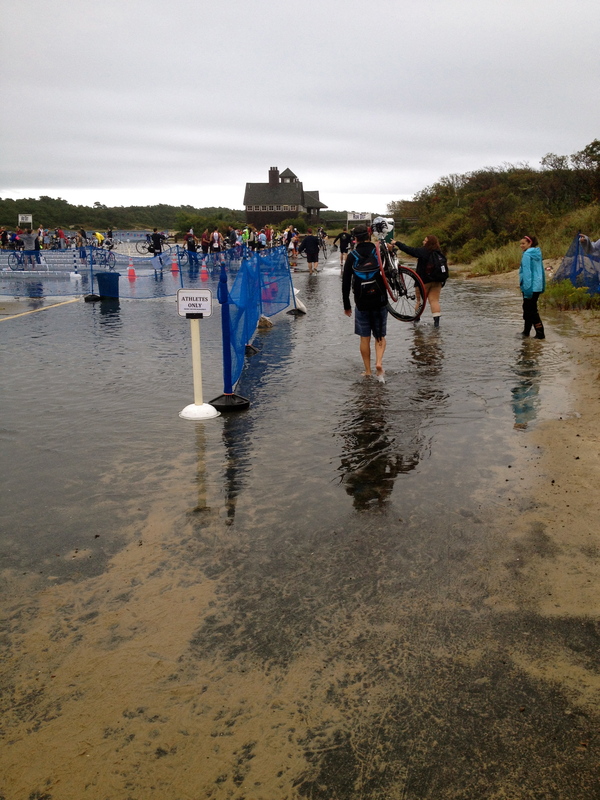 When it came time to go over to transition — I was shocked at how flooded it was! I trudged through the waters to set up my things, and set down all of the garbage bags that I brought. When it came time to start — it felt weird to not have to put on my wetsuit, grab my goggles, put on my cap (and look like a conehead) and get ready for the swim. The duathlon start felt like the start of a 5k — crazy, hectic, and packed! Since I was in the collegiate wave (and we went off first), tons of colorful jerseys representing schools like UConn, UVM, Syracuse, Dartmouth, and many more dashed off to start the 1.8 mile run. The first run definitely felt weird — and I think that I went out a little bit too fast! My 7:06 average pace versus my 8:10 average pace in the final 5k was definitely indicative of this. My shoelace also came untied about five steps into the first run… but I didn’t want to lose momentum so I chose not to stop and tie it. It was definitely an adventure trying to keep my shoe on for the entirety of that run! It was an unexpected adventure to try a duathlon — but I know for sure that tris are more my thing. I don’t think that I could get used to running at the beginning of the race! More on the race soon — including stories from other YoungTri members, team pictures, and more about the collegiate triathlon world. Have you ever done a race that was switched to a duathlon? How did you deal?